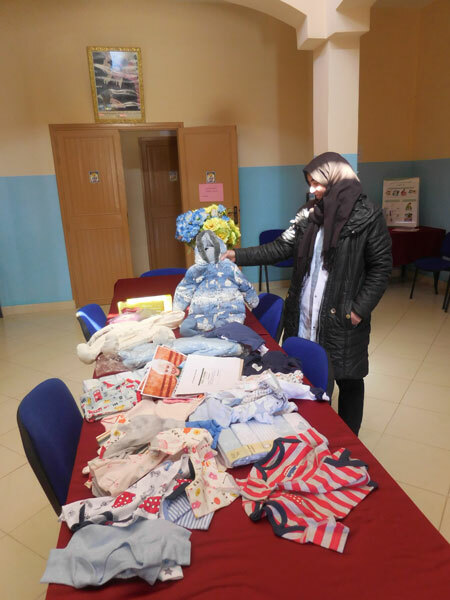 On many occasions throughout the year, our small office in the Atlas Mountain is piled high with bags, donated by generous travellers through our partnership with Pack for a Purpose. Filled to the brim with useful supplies for our local communities, it makes our day to be able to deliver these items to the programmes that need it most in this rural part of Morocco. 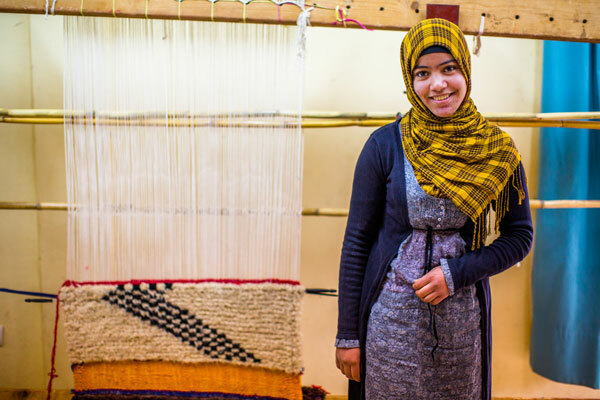 The Eve Branson Foundation is dedicated to improving the lives of young women and men in the Moroccan Atlas Mountains. 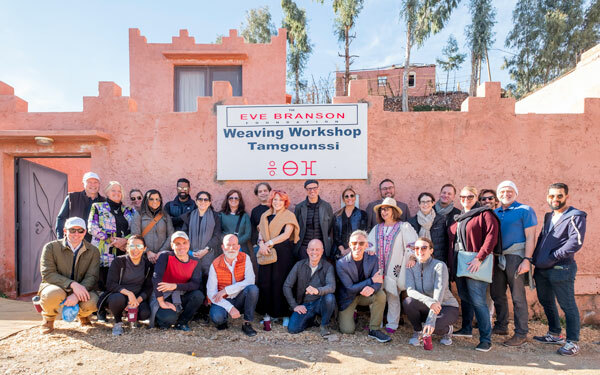 It is where Richard Branson owns the retreat, Kasbah Tamadot, and we work hand in hand with the team at Kasbah Tamadot to identify community needs and develop initiatives that enrich and preserve the local region. 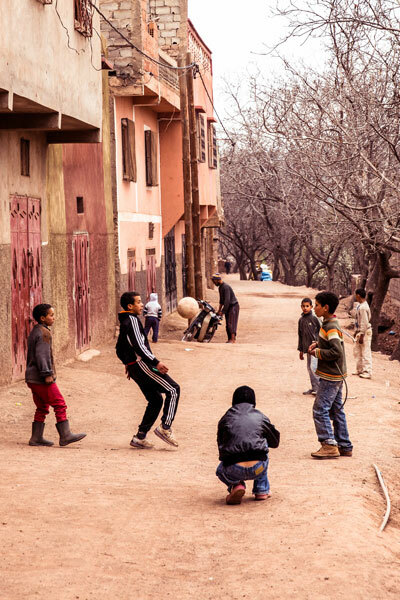 When visiting Kasbah Tamadot or planning a tour of the Atlas Mountains, visitors often ask what they can bring – particularly when it comes to useful items for the children in the local area such as toys and crayons; which is where Pack for a Purpose comes in. By pointing them to a specific list of much-needed supplies, our guests can pack their suitcases knowing these items are going to make a meaningful impact long after they leave. Something as simple as tucking a few colourful learning tools into a suitcase can make an impact right to the heart of education – the classroom. Local families here quite often have to give up essentials such as toothpaste and toiletries and struggle to afford life’s basic needs. In 2018, the local birthing centre requested a supply of warm baby clothing and blankets and thanks to the incredible generosity of one guest, the centre now has a provision of 100 fleece blankets. These items are lightweight to pack and yet provide a lifeline in the harsh winter months in the higher mountain villages. Every donated kilo is carefully weighed and itemised by the Eve Branson Foundation team before being distributed. 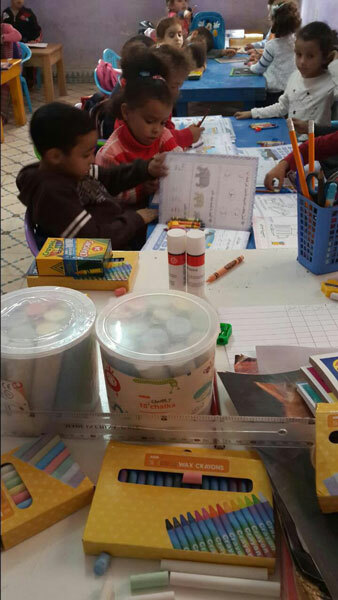 The hundreds of kilos of supplies we receive each year means that monetary donations can be re-allocated to fund long-term needs such as building a new playground or roof for a school or providing extra tuition for young students and operating training programmes in the craft centres. Asni crèche is run almost entirely on donated Pack for a Purpose items. School materials can be very expensive to purchase locally or in nearby cities. Without these savings made through the programme, the facility would not be able to offer a service to children in the community. Regularly teaming up to support different projects and causes, the Eve Branson Foundation and Kasbah Tamadot are proud members of Pack for a Purpose and get behind the initiative in various ways. 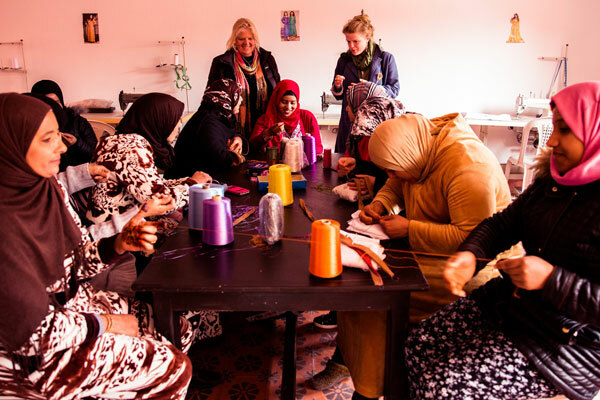 Recently, thanks to Virgin Limited Edition, a group of tour operators from New York collaborated to bring craft materials over to our artisanal training centres. We all shared in the excitement when tins of sequins, coloured glass beads, buttons and velvet braid were opened in our Tamgounssi and Tansghart craft centres. Whether big or small, everything is appreciated – items as simple as a deflated football and toothbrushes weigh less than 1kg.